International Education Week (IEW) is an opportunity to celebrate the benefits of international education and exchange worldwide. 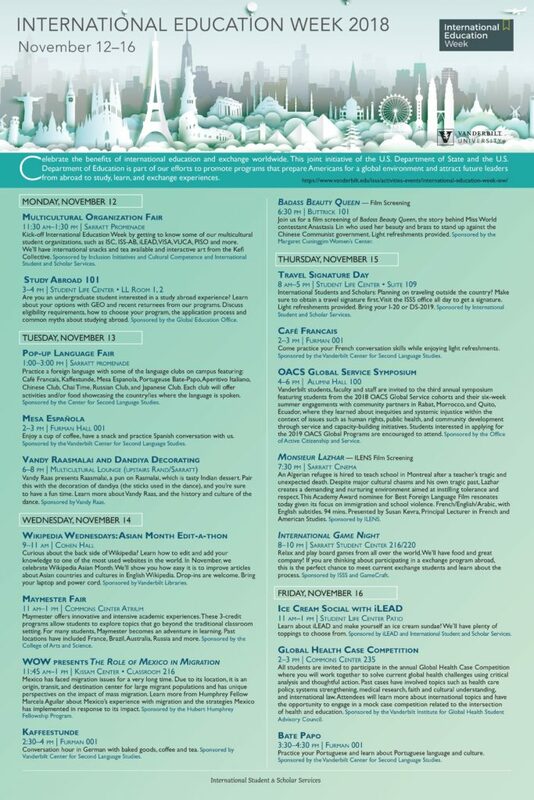 This week seeks to advance cultural understanding as well as protect cultural heritage.This joint initiative of the U.S. Department of State and the U.S. Department of Education is part of our efforts to promote programs that prepare Americans for a global environment and attract future leaders from abroad to study, learn, and exchange experiences. At Vanderbilt University, IEW is coordinated by International Student and Scholar Services, the diverse staff on the IEW planning committee who represent some of the various departments and offices on campus, and the students, faculty/staff and student organizations who host programs for this specific week. 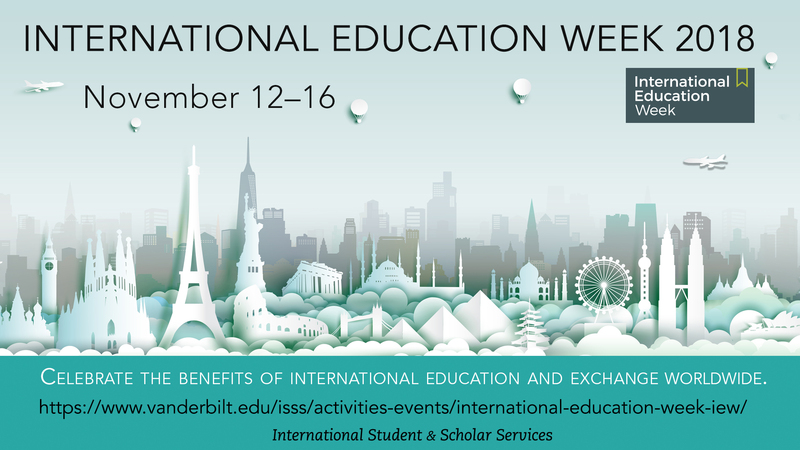 We are excited to present the diverse programs and events happening at Vanderbilt University during International Education Week, and we thank the many departments, offices and student organizations who have helped make this year’s IEW possible!